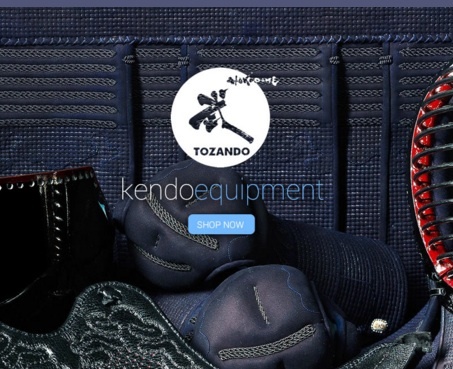 The internet has makes purchasing Kendo equipment much easier. Club members are expected to order equipment themselves. A NOTE ABOUT CARBON MILES: Although there are a number of excellent European and Nth American shops (e.g. e-bogu.com), I do not recommend them as their products have to travel further to get to us, increasing the carbon footprint of the item you buy. In most cases their stock is shipped from Japan or China to Europe or Nth America in the first place, before being shipped back to us, which means that the item has travelled right around the world! Since jet aircraft are one of the major creators of greenhouse gases, this is a serious issue. Beginners only need one shinai. 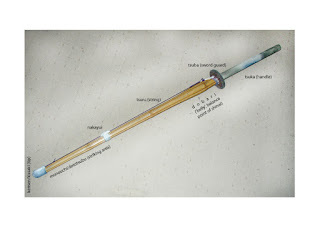 Experienced kenshi should always have two shinai in good condition with them at training. All members must have a shinai bag which will fit at least two shinai, bokuto and their tsuba (sword guards). 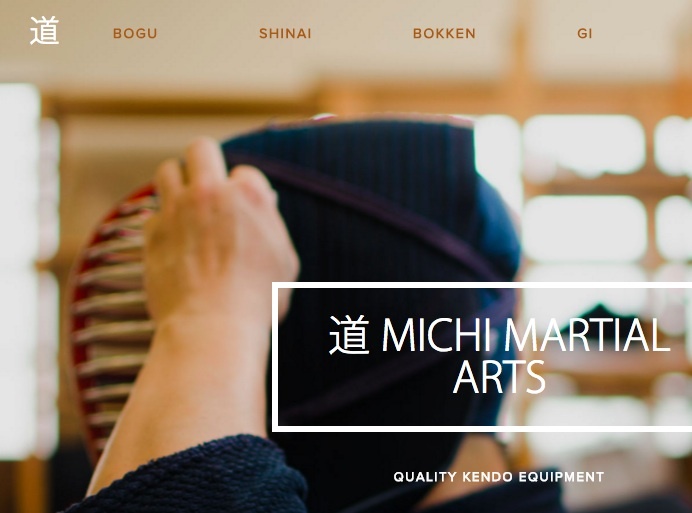 You should expect to pay around $50 for a shinai with its leather fittings. 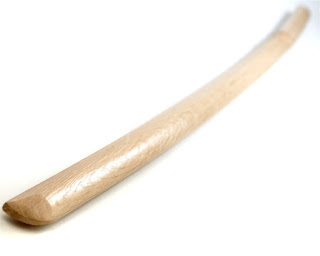 Shinai will usually last a minimum of 12 months regular use. Sometimes much longer. Dogi consist of kendogi (top) and hakama (culottes). 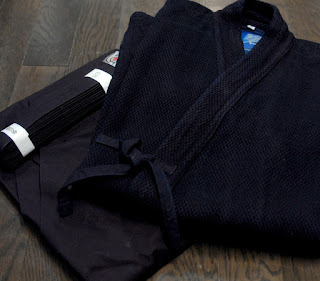 Traditionally dogi for kendo are dyed with indigo to make them dark blue. The Japanese call this indigo dye aizome and there is a long tradition of using it for fabric dyeing. This protects the fabric from being eaten by moths, makes them most resistant to sweat smells and it is said can even help to heal bruises! White is also acceptable, particularly for women, but is much harder to keep clean (e.g. the blue dye from do himo (laces) rubs off on the back to make a large blue "X"). Black is only for ninjas and is usually a sign of a cheap hakama. The best dogi are made from 100% cotton. Nearly all kendogi are made from cotton, although nowadays there are some new generation fabrics being made that work well in hot weather. Cotton dogi may be indigo dyed or chemically dyed. Hakama can be cotton or a cotton/polyester mix called "Tetron". Both are acceptable. Tetron hakama are slightly longer lasting than cotton and can be machine washed. However Tetron cannot hold a pleat and cannot be indigo dyed. Cotton for hakama comes in different "weights", depending on how may threads used per square centimetre of fabric. The three basic weights are 5000, 8000 and 10,000. The higher the weight number, the heavier, stiffer and more expensive the hakama. The best aizome fabric comes from a region in Japan known as Bushu 武州. Kendogi can be single layer or double layer. Double layer are heavier, hotter and more expensive but more protective and look more imposing. Some single layer have a lighter stitching pattern for hot weather. Children's kendogi have the lightest stitching pattern known as "Musashi" stitching, to allow freedom of movement for small arms. Kendogi (the top) can be washed in a washing machine. Wash them as you would a pair of denim jeans (cold wash, wash separately, turn inside out before washing). Kendogi do not need to be washed after every training. Sometimes it is best to dry (inside-out) in direct sunlight. This will kill most of the bacteria that cause smells. Remember that the more you wash your kendogi, the more quickly it will wear out, as washing machines are very hard on fabrics. Tetron - may be washed in a machine. Wash inside a mesh laundry bag to prevent himo tangling around washing machine spindle. Once dry, careful warm iron to re-establish pleats. It is acceptable to run a line of stitching along each pleat to permanently hold it in place. Cotton - strictly hand wash only. Fold hakama as you would after training. Himo can remain unfolded. Using bath or laundry trough, immerse in mildly soapy, luke warm water. Pat the water through the hakama to wash. Rinse well, keeping hakama folded. Once rinsed, drip dry in the shade. Very warm to hot steam iron but iron only through clean cotton cloth (e.g. men's handkerchief). Bokuto (also called bokken) are used for kendo kata and bokuto kihon. Unlike shinai, bokken used for kendo generally do not break and can last a lifetime. Therefore it is recommended to purchase a good quality bokuto the first time. There are two kinds of bokuto: odachi or daito (long sword) and kodachi or shoto (short sword). Both are necessary for kata. Only the odachi is used for bokuto kihon. You should buy both together. The best and most economical bokuto are made from Japanese white oak (shiragashi). Bokuto made in Japan have the best shape and balance. 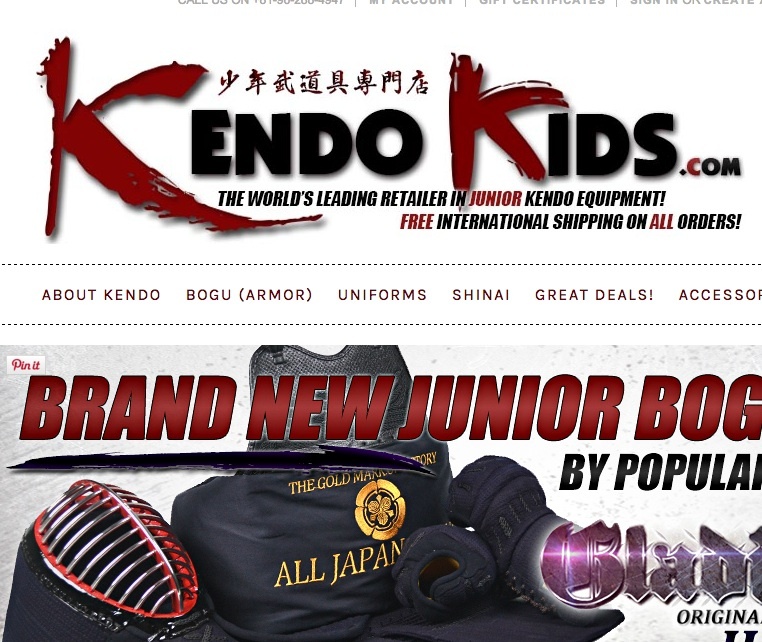 Expect to pay about $50 for Japanese made odachi and $40 for kodachi in white oak. Isu is another good and economical wood, as is Japanese red oak* (akagashi). Sunuke is also good but very expensive. Asian ebony (kokutan) is very expensive and not as long-lasting as white oak. Do not buy bokuto that have handle wraps or are painted to look like real swords. *CAUTION: Many online suppliers sell "red wood" bokuto that are very cheap timber that has been stained red. These bokuto are usually a very bad shape and occasionally break. They are probably the most common form of bokuto available on the net. For that reason I don't recommend red oak on the off-chance that you may accidentally buy one of these ones, rather than a true akagashi bokuto. UPDATE 27/3/2017: Kendo Park have an excellent, very in-depth (almost too in depth, these guys are real kendo nerds!) "About" page on their site. Please have a look. Bogu-making requires a range of craftsmen to complete one set. Usually one company will make just the mengane, another will make just dodai. A third company might make futon (the padded and stitched part of the bogu). Then finally another company or craftsman will assemble all these together to make the final armour. So a single set of bogu might have parts made in various countries, but be assembled in Japan so is called a Japanese bogu set. Mostly, cheap to medium level bogu are entirely made in China or other east Asian countries like Burma. Sometimes the same factory will make bogu for a range of companies and just put different labels on them. Some Japanese companies have their own factories in China which they supervise to make sure the quality is good. Many companies will offer a range of bogu, with the top level models made in their own shop, and the others bought from these large manufacturers in China. So, in short, Made in China doesn't always mean bad, and Made in Japan doesn't always mean made in Japan! There are a number of options when buying bogu as you will see from these guides. Knowing what your budget is will determine what features and quality you can afford. tezashi - hand-stitching; the most laborious and expensive form of stitching. Usually they appear　as a series of squares on the bogu's futon (padded areas). 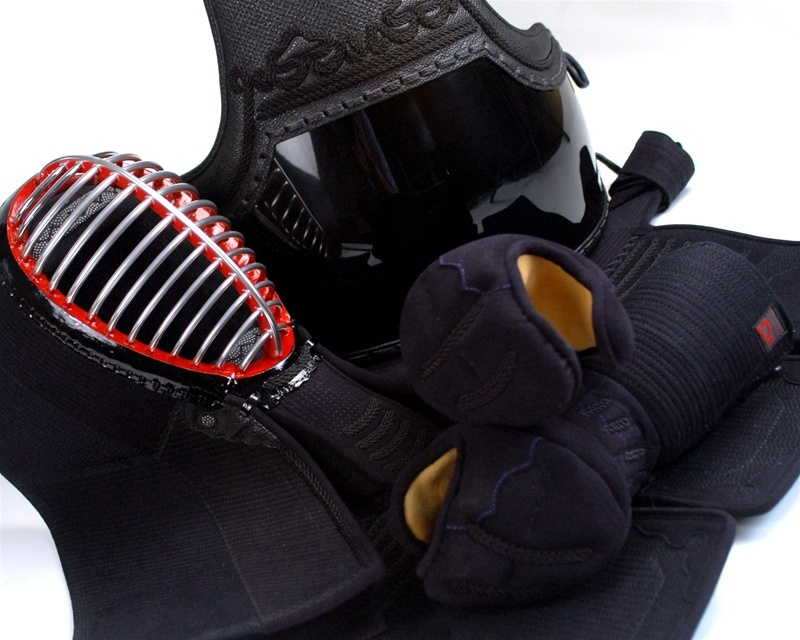 Generally considered to create the softest, most protective and most long-lasting bogu. Stitch widths are measured in old fashioned Japanese units called bu. 1 bu approx = 3mm. Bogu are usually available in 2.0, 1.5, 1.2 and 1.0 bu stitch widths. Some bogu is now available in 3.0bu. There is a lot of debate over which is the optimum stitching, but 1.0 bu is most expensive because it takes the most work. machine - machine stitching is done in rows and is measured in mm (distance between each row). Bogu start at about 7mm and are available in 6mm, 5mm, 4mm, 3mm and 2mm stitch widths, depending on the manufacturer. There is no real difference in cost of manufacture for close stitch widths using machine stitching, although companies will usually charge more for closer stitch widths. This is because they tend to use higher quality materials on bogu with closer stitch widths. Overall, materials and workmanship (which is largely invisible) are more important than stitch width with these bogu. pitch - This refers to a new kind of machine stitching developed in the 1990s by Mitsuboshi for their "Mine" bogu. It has quite a wide stitch width (around 6mm) but the manner of the stitching is said to imitate more closely the structure of traditional hand-stitching. Pitch bogu are medium to high in price range and have become very popular due to the high level of workmanship and materials, and the softness, comfort and protection they give. A number of other companies (Tenpudo's "Hotaru", Tokyo Shobudo's "Tetsu", AJB's All Japan Pitch) are now producing their own versions of this bogu, which has made this style a little more affordable in recent years. Why spend more on bogu? The main reason for spending more on bogu is comfort. A more expensive bogu from a reputable supplier will be made to your measurements, not sourced from the warehouse in standard sizes. Usually it takes about 3 months to make a bogu. Good bogu shops take a lot of care getting everything right for their customers and are usually happy to answer a million questions. Japanese companies in particular don't like to haggle over prices, but they will often throw in free extras with your purchase as recognition of the fact that you are spending a large sum of money with them. Some will even request you to send a photo of yourself so their craftsmen can see who they are making for! Good bogu lasts longer and breaks-in quicker. Cheaper bogu stays stiffer longer before wearing out more quickly. Therefore more expensive bogu has a longer useable life. 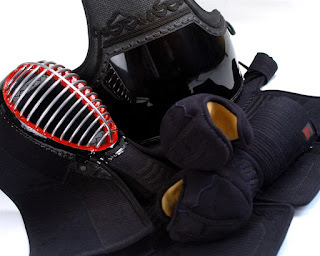 It also makes kendo more enjoyable as the bogu itself becomes unnoticeable when you wear it. Cheaper bogu is more likely to be painful to wear or less protective.